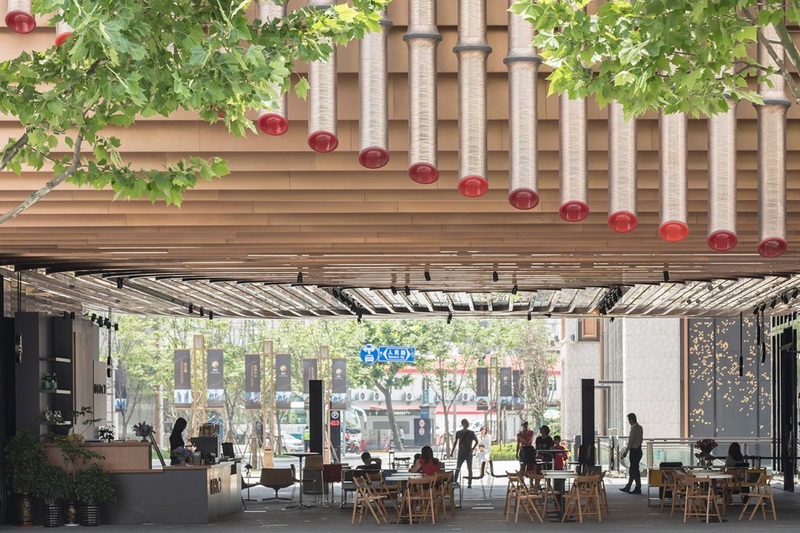 Waterfront of Shanghai’s old town is attracting many tourists as it revives the cultural history of Chinese people, covered with curtains. 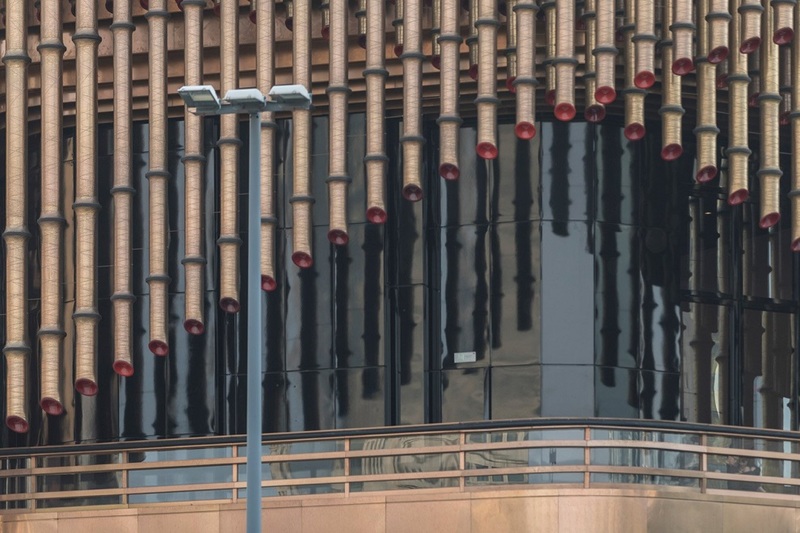 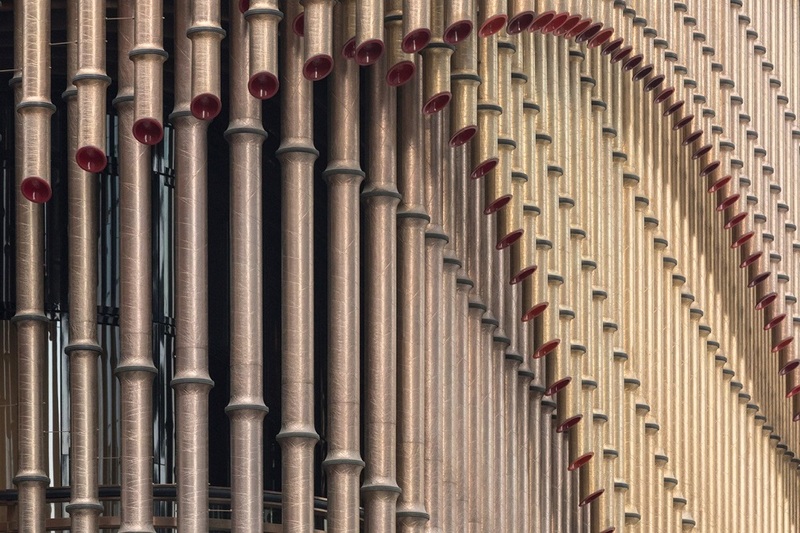 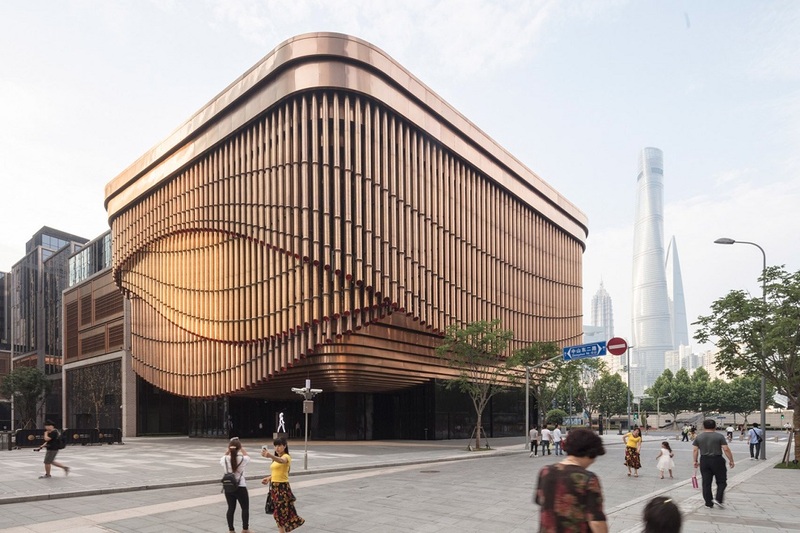 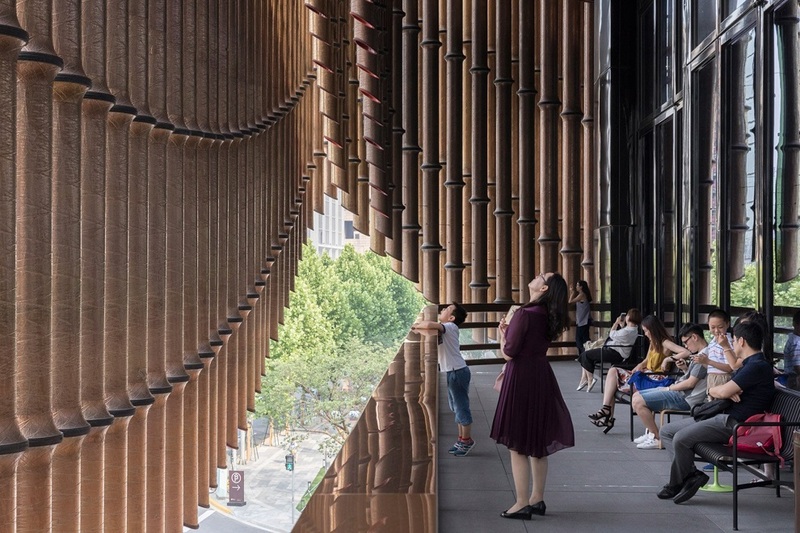 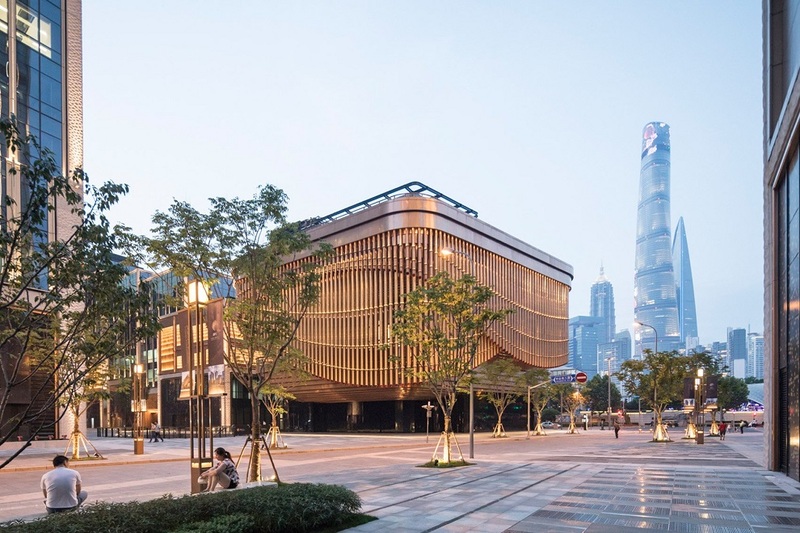 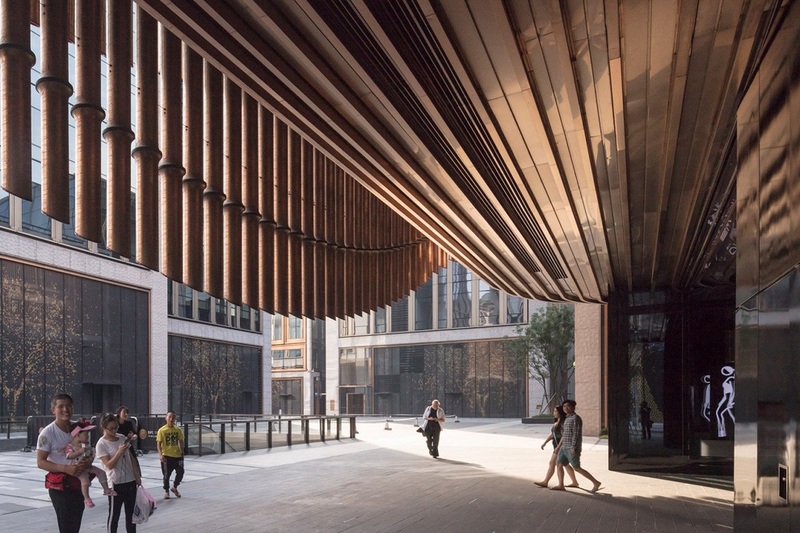 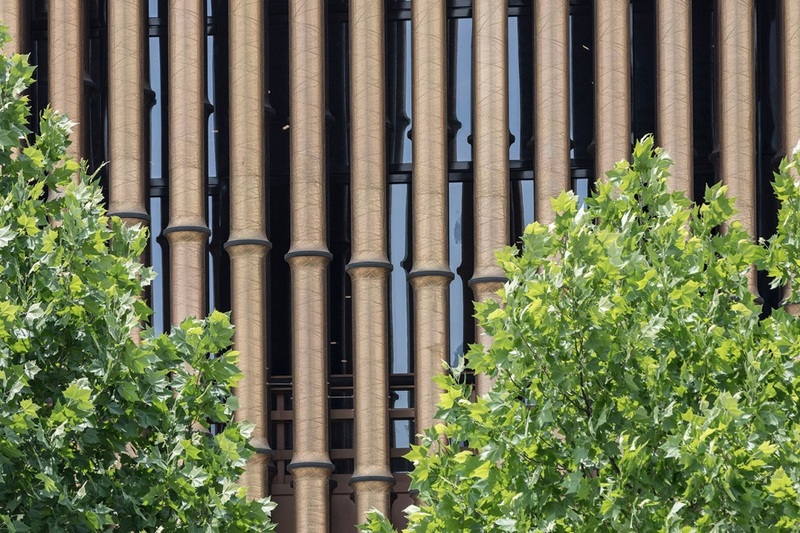 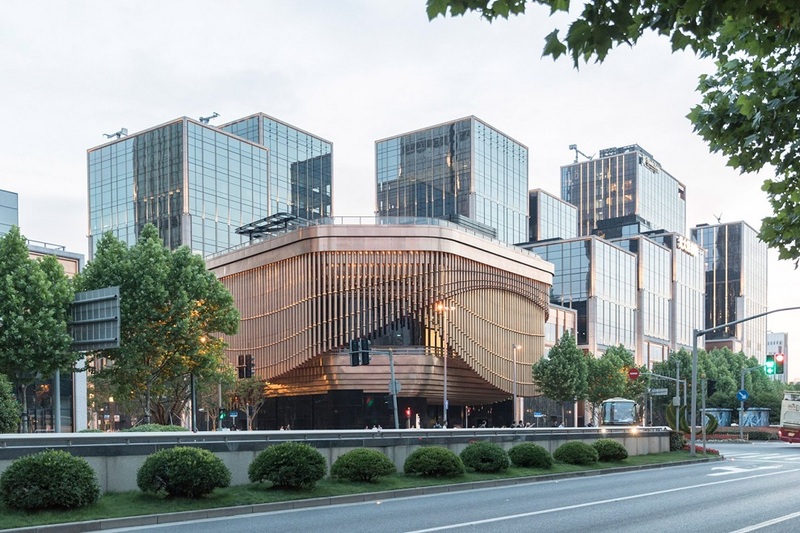 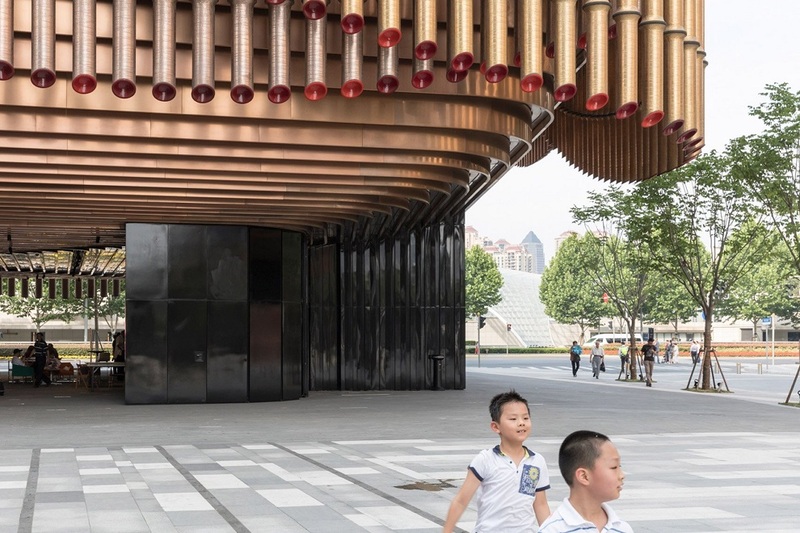 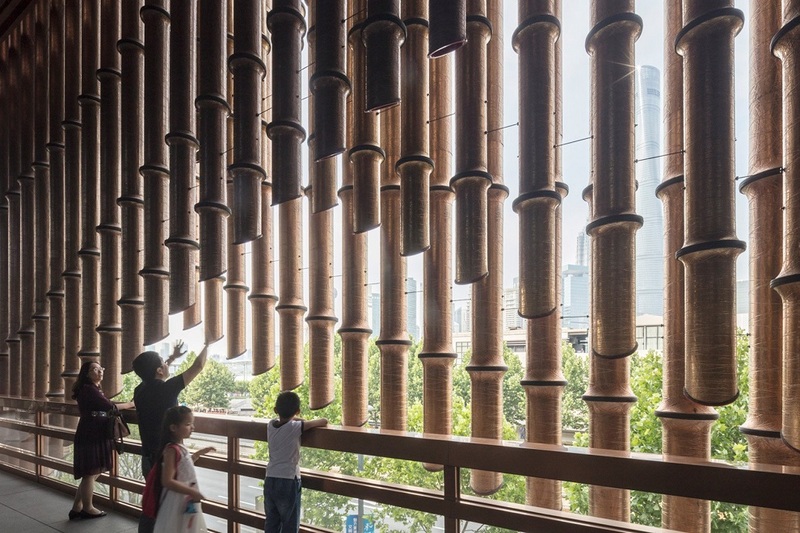 In this case, the facade of Graceful Bund Finance Center is covered with a series of movable bronze tubes, carved to look like bamboo. 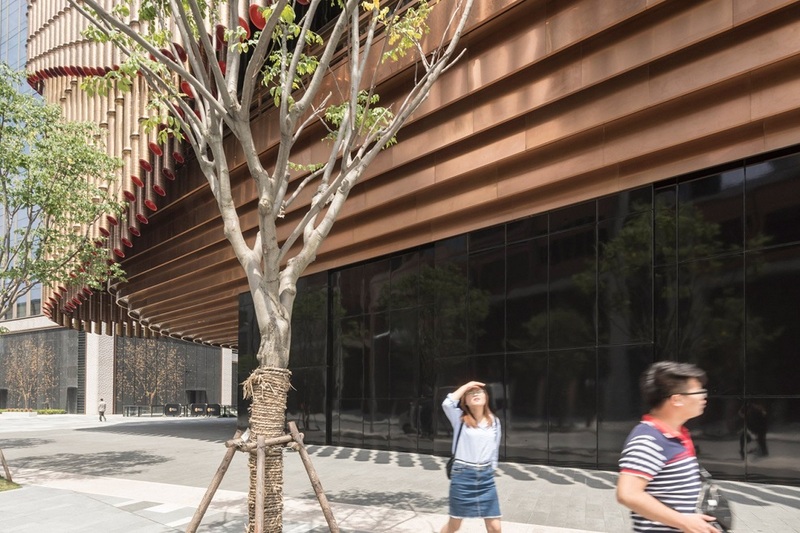 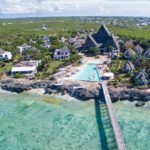 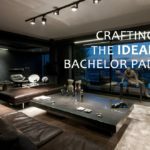 96,000 square meters of total area is variety of attractions including dining, cinema, children’s recreation center, fitness club, brand concept stores etc. 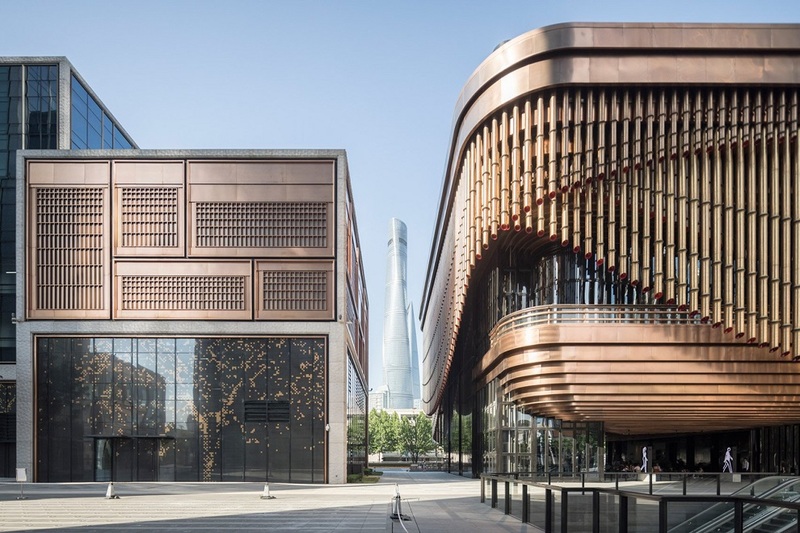 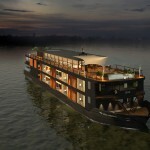 The Bund Shopping Center is a perfect blend of modern technology with the Chinese art and cultural dramatic design.